This family run business is headed up by Martin & Michelle Williams. Their 8 trained and qualified Lawn Advisors collectively visit over 7,000 customers’ lawns each year, from East Leake in the north, to Stoney Stanton and Earl Shilton in the south. Backing them up is a friendly team of knowledgeable experts in the office at East Goscote. Between them, they have many years’ experience of dealing with enquiries and requests, and even the odd grumble! What the team doesn’t know about lawn care isn’t worth knowing! 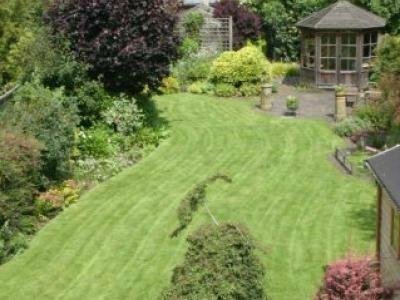 Over the years, GreenThumb in West Leicestershire has seen the demand for its lawn treatments grow steadily. The annual lawn treatment packages are proving very popular – they spread the cost, save the customer money and provide a comprehensive programme of lawn care. If you are not already a customer, the team at GreenThumb in West Leicestershire look forward to meeting you. Brilliant service - brilliant lawn! Can I just let you know what an excellent service you provided. We moved to our present address just over 18 months ago. We previously lived in Crewe and had your service there for over 10 years. All our neighbours used to comment on how good our lawns looked. Our bungalow had been empty for well over 1 year and the lawns were - to be kind - a mess. However due to you they are now pristine. Thank you. Hi Alan, Thank you so much for taking the time to leave a great review. We are so pleased you are happy with the service and that your lawn is looking good. Very helpful, pleasant nature, good advice, very pleased. Hi Philip, thank you so much for leaving us a positive review, I am pleased to hear you are happy with the service. Happy with lawn and service. Hello Margaret, thank you so much for leaving us a review, and for your loyalty. We have a great team of highly trained, knowledgeable and experienced Operatives who are happy to give advice. Hi Maureen, thank you for the fab review, I'm so pleased to hear you are happy with the results. Punctual and reliable. Daisy's all gone and grass is green! Thank you. Thank you for the lovely review, a weed free, lush green lawn is what we aim for! Good job. Good service. Good timekeeping. Thank you for the great review Geoff, it is always lovely to hear from happy customers. Really good service and waited for me to arrive. Hi Sanjay, thank you for the great review, we always try to be as accommodating as we can. Thank you for taking the time to leave us a review, we have a great team of friendly Operatives! Very good service carried out by caring people. I am very pleased. Hi Terry, Many thanks for the feedback, it is always lovely to hear from happy customers.